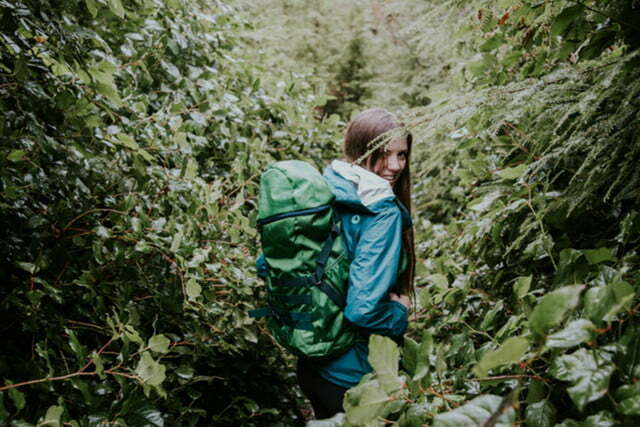 Spend less time packing and prepping and more time in the great outdoors with the innovative Chameleon Pack. 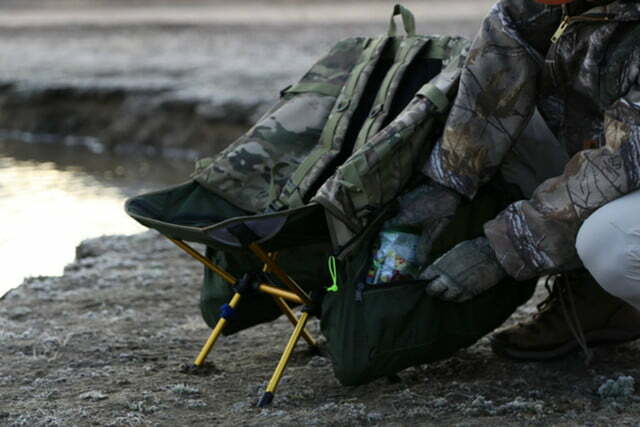 The pack doubles as a stand-up camp chair, allowing you to relax and unwind wherever you are on your journey. 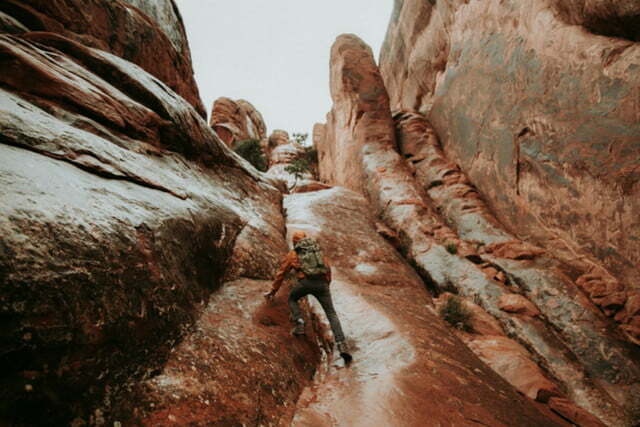 Trailform designed the Chameleon with several goals in mind. First, to have easy access to your gear and eliminate time spent digging for items. Second, to serve as an all-in-one pack so that you always have the kind of carrying capacity you need, whether it’s on the trail, at the park, or en route to school. Third, to double as a camp chair so that your load functions in taking a load off. There are two 16-liter removable stuff sacs at the core of the Chameleon Pack which serve to carry all of your gear. They can be worn separately as single drawstring slings, connected together to form a 32-liter drawstring backpack, or inserted into the Chameleon frame. The frame boasts Penta-zip technology and can be easily unzipped, revealing the unique Sit-System frame contained within. 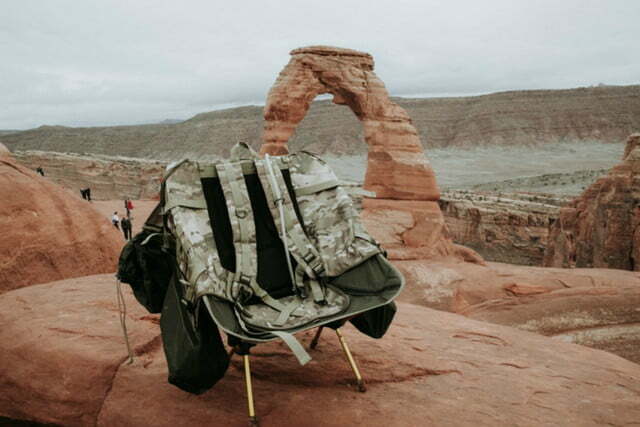 After the frame is set up, the pack is attached to all four corners, effectively transforming it into a lounge chair with the two drawstring stuff sacs draped conveniently on either side. The anchors and seat flap are permanently fastened, providing security. The collapsible Sit-System frame is made from aluminum and crafted to be ultralight, yet rated to hold 300 pounds. The pack interior includes a water bladder holder, laptop storage, Sit-System seat flap, Sit-System anchors, and two 16-liter removable switch bags. The exterior is made from heavy duty denier nylon, boasting excellent abrasion and water resistance. There is a 4-liter top compartment for stowing immediately accessible items such as sunglasses or cell phones, two lashing buckles and compression straps, and a molle panel for attaching items and increasing load capacity. The Chameleon is designed to make your life easier, whether on the trail, on the hunt, in the backyard, or when picking up the kids from school. Zippers on either side of the switch bags allow you to easily access equipment without digging, whether in pack or chair form. 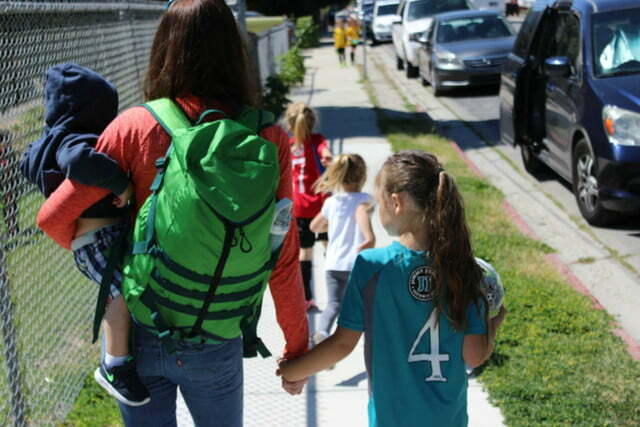 The Chameleon Pack serves as the most versatile backpack in the world. You can purchase a Chameleon Pack for an early bird pledge of $143 on the company’s Kickstarter campaign page.